The FIFTEENTH Annual Harry Bye Cancer Golf Tournament will take place on Wednesday August 8nd, 2018 at the Pike Lake Golf & Country Club with a 1:00 p.m. shot gun start. The cost for a foursome is $500.00* or $135.00* per golfer. This all-inclusive fee includes driving range from 11:30-12:30, golf, cart, lunch, a delicious steak dinner, and great prizes. Special raffles will be conducted on golf day. H. Bye Construction is the Tournament’s major sponsor but your help is needed to make this event a continued success. Consider becoming a sponsor, give a donation to the prize table, or/and participate as a golfer. Please get involved to make this a great day for this local cause. All proceeds stay within the community. To recognize the continuing support of our sponsors, we are offering a surprise gift worth $250.00 . For each sponsorship, a raffle ticket will be issued for your chance to win. This sponsorship package includes your company name/logo on all promotional material for the Tournament. Your company sign will be prominently displayed the day of the Tournament. Gold sponsors also receive a complimentary foursome golf package. This sponsorship package includes your company banner being prominently displayed the day of the Tournament. Silver sponsors also receive a complimentary golf package for two players. Benefits to becoming a Bronze Sponsor includes your company Signage being displayed on one hole and your company name is displayed at a tee box. As a Hole Sponsor, your company name is displayed at a tee box. Sponsor one or many holes. Together we can help local Cancer Patients in their fight against cancer by providing the necessary transportation for their treatments. For more information on this service, or about sponsorships, donations and the Tournament, please contact Linda Schornagel 519-323-6333.. Thank you for your continued support and enthusiasm. Help me make this FIFTEENTH season another great success. 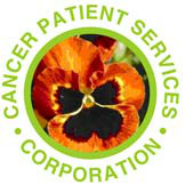 *Please make cheques payable to the Cancer Patient Services Corporation. Cheques can be mailed to Linda Schornagel, J28-6512 12th Line Clifford, ON N0G 1M0 or dropped off at The Thrift Shop, 134 Main St. S. or call Linda for pick-up. 519-323-6333. Please also provide the name for each golfer.